Beijing is demolishing crosses and replacing them with Chinese flags as part of Xi Jinping’s efforts to “Sinicize” Christianity — ensuring the religion is completely subordinate to the atheist Communist Party, the U.S. government and independent experts told American lawmakers on Thursday. 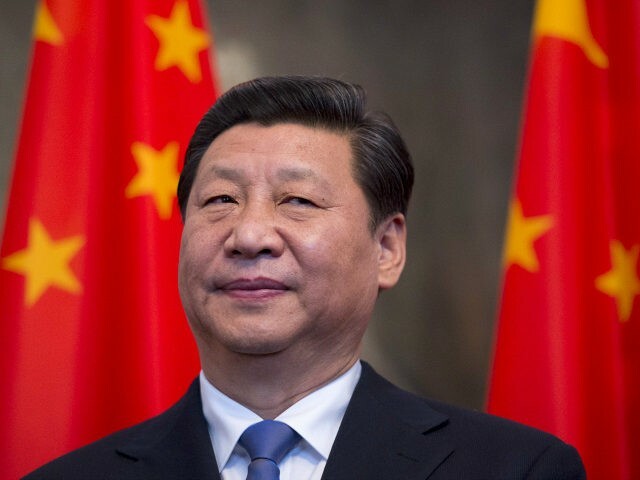 Dr. Tenzin Dorjee, the chair of the independent United States Commission on International Religious Freedom (USCIRF), noted that the Xi administration’s persecution of Christians and other faith adherents has intensified in recent years. Echoing Fu, the federal agency’s chair revealed that communist government officials are destroying crosses across China’s Christian communities and replacing them with Chinese flags. The already poor situation for Christians, like other religious groups, has markedly declined since new religious regulations came into effect on February 1 this year. Just days prior to the regulations, Chinese police used dynamite to annihilate the evangelical Golden Lampstand Church. More recently, authorities shut down Zion Church, one of Beijing’s largest unregistered Protestant house churches. Across several provinces, authorities have confiscated Bibles, demolished churches, moved or destroyed crosses and other religious symbols—sometimes replacing them with the Chinese flag —and arrested countless Christians. The witnesses who testified during Thursday’s hearing, which also included Dr. Thomas Farr, the president of the Religious Freedom Institute, indicated that China had declared war on Christianity and other faith groups. The current assault on religion in China under President Xi Jinping is the most comprehensive attempt to manipulate and control religious communities since the Cultural Revolution…Within China, Xi’s policy intensifies a decades-long government strategy of undermining a major threat to the authority of the communist state – namely, that religion is a source of authority, and an object of fidelity, that is greater than the state. This characteristic of religion has always been anathema to totalitarian and authoritarian despots, and to majoritarian democracies. The experts urged the United States to take action against China in defense of religious freedom. According to various media reports, the Trump administration is considering sanctions against Chinese officials involved in the ongoing repression of China’s Uighur (or Uyghur) Muslim minority acknowledged by the House panel witnesses on Thursday.